Rocket Matter Knowledge Base Trust Accounting How to add a payment to trust. How to add a payment to trust. 1. While on matter dashboard, click '+Add New' and select 'payment'. 2. Select 'Apply Payment to Trust'. 3. Enter the amount and trust description. Deposit Funds: Record payment amount to client trust ledger. Recieve Payment: Collect payments via credit card or e-check. The matter ledger will update accordingly. Take advantage of Rocket Matter's fully integrated payment processing integration with LexCharge. For more information, contact Rocket Matter at 888-432-1529. This confirms the payment amount of $200.00 and indicates the clients's new balance of $4773.00. Prev: How to view the trust ledger for a client. Next: How to run an invoice for one matter and apply trust funds. How do I run multiple timers. How to apply taxes to a matter. How to set up taxes. How to set up convenience fees. How to set up discount rates. How to set up interest rates. What does "non billable" mean? What does "no charge" mean? What is default matter billing type? 9 Ways to bill as you work! How to make an adjustment to the Matter Ledger. How to make an adjustment to a clients trust ledger. How to make a payment on behalf of a client for a specific matter to their trust account. How to make a payment on behalf of a client for a specific matter to their operating account. How to invoice a batch for matters with current charges. How to invoice a batch for matters with current charges and include unpaid invoices. How to generate a batch of "Unpaid Invoice Statements". What is the different between a statement and an invoice? How to download invoices from a batch billing. What does "Days since invoice was generated" mean? How to delete a single statement. How to delete a single invoice. How to modify my Unpaid Invoice Statement Template. How to run an invoice for current charges for a single matter. How to run an unpaid invoice statement for a single matter. How to resend an invoice. How to delete a payment. What is the difference between a statement and an invoice? How to download a single matter statement. How to download your batch of statements. How to setup discount rates. How to setup convenience fees. How to setup interest rates. What does "do not charge" mean? How to produce proof of payment. Creating a calendar event with saved configurations. How to add a client or contact as an attendee to a calendar event. How do I change my firm calendar to show all events. How to print your firm calendar. How to activate a one-way calendar feed. How to add a Contact. How to delete a Contact. How to edit a Contact. How to upload/modify my communicator display photo. How to create a private channel. How to add or remove a user as an admin of a channel. How to video conference a user. How to drag and drop/upload folders, documents and images through communicator. How to reference a matter while I’m chatting. How to reference a client while I’m chatting. How to reference a user while I’m chatting. How to create a calendar event while chatting about a specific date. How to add a Client and Matter Custom Field for all matters. How to add a Matter Custom Field for a single matter. How to add a Client Custom Fields for a single matter. How to apply a custom billing rate for just one matter. How to add/edit custom rates in bulk. How to create a firm role and apply a custom rate by client. How to create a document template. How to insert a matter custom field into a document template. How to upload a document template. How to download and preview Matter Documents. How to set up a Dropbox integration. How to set up a Box integration. How to map a Dropbox Directory to Matter Documents. How to map a Box Directory to Matter Documents. What file types can be uploaded into Rocket Matter? How to create a Document Folder. How to move a Document into a Folder. How to upload a Folder with Documents. What file types can I upload into Rocket Matter Documents? How to sync with Google calendar. How to sync, view and bill for your Gmail emails into Rocket Matter. Things to know before syncing your Google calendar. How to sync your emails into Rocket Matter. What is the 'Invoices' section? How to apply payments to invoices in bulk. How to transfer trust funds in bulk for invoices. How to apply payments to invoices in bulk with a credit card. 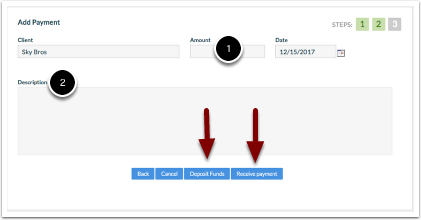 How to apply payments to invoices in bulk with e-check. How to see all unpaid and paid invoices. How to automatically share Invoices with clients. What are the three different templates? How to change the Firm name and address on your invoice, summary or unpaid invoices. Invoice Template: How to edit and upload Invoice Templates. Invoice Template: How do I choose one of Rocket Matter's 6 pre-formatted Invoice Templates? Invoice Templates: How do I change my default Invoice Template? Invoice Template: How do I delete an Invoice Template? Invoice Templates: How do I add or change a merge field on my Invoice Template? Invoice Template: How to set a specific invoice template for one matter? Invoice Template: How do I add a logo to my Invoice Template? Summary Template: How to modify my Summary Template. Unpaid Invoice Statement: How to modify my Unpaid Invoice Statement Template. What is the Insurance Defense Package for LEDES Billing? Setup and enable LEDES Billing - Start to finish! How to enable LEDES Billing. Accepted Task, Activity and Expense LEDES codes. How to configure LEDES Invoice Field Mapping for all clients and matters. How to configure LEDES Invoice Field Mapping for a specific client. How to assign Timekeeper ID's to a user. How to create a custom matter field for all matters to identify clients billing with LEDES. How to run bills for LEDES only. How to audit LEDES billing. How to insert LEDES information to my invoice template. How to run a collections report showing payments and adjustments towards invoices for LEDES billing. How to bill for an activity, task or expense code using LEDES billing. How to get started with the LawToolBox integration. How to integrate my existing LawToolBox account with Rocket Matter. How to add a rule for court rules calendaring for a specific matter. How to modify/delete existing court rules. How to add/remove my jurisdiction for court rules and set default jurisdiction for LawToolBox. How to activate your LawToolBox subscription. How to activate your free trial for your account. How to setup an automated recurring billing plan. What is a recurring billing plan? How to setup an automated payment plan. How to get started with billing and payment automation with LexCharge. How to stop a payment plan or recurring billing plan. How to 'Edit payment processing fee default'. How to 'Edit a payment email' template. How 'Edit a payment receipt email' template. How to 'Edit a payment plan receipt email' template. How to 'Edit a refund email' template. How to issue a refund with Rocket Matter Payments. How to edit modify ‘Request Retainer’ email. How to see a report of all my payments, retainers and their statuses. What does my client see when making a payment using the LexCharge integration? How do I deposit a e-check on behalf of my client. How do I find a report of these e-check payments. How to setup a automatic payment plan with a e-check. How to setup a automatic recurring billing plan with a e-check. How to add a matter. How to complete a matter. How to set matter-level permissions. How to change a matter name. What is the difference between a closed matter and a completed matter? How to find a closed matter. How to close a matter. What is the matter stream? How to 'subscribe' to the Matter Stream. How to edit a matter template. Why can't I link an activity in my matter template? How to edit an event or task on a matter template. How to apply a matter template to a brand-new matter. How to apply a matter template to an existing matter. How to create a matter template for a brand-new matter. How to create a matter template for an existing matter. How to add phone messages. How to bill for messages. How to add a calendar event. How to add a task. How to add a time, cost or flat fee billable entry. How to view activities for a matter. How to preview Invoices, Documents and Images in the Rocket Matter App. How to sync Google Calendar events via mobile. Things to know before syncing your Office 365 contacts and calendar. How to get started with the Office 365 Integration. How to enable and use Document Versioning with the Office 365 Word Integration. What Rocket Matter data will sync to QuickBooks Online? How do I enable Taxes in QuickBooks Online? How do I migrate from QuickBooks Desktop to QuickBooks Online? How do I use the 'Billable Activity by User(s)' report? Collections Report: Why does 'None' appear as the User in my report? How to view the emails you have sent and find out what the email status is. What is the Business Intelligence Module? How to use the Business Intelligence Module. What is Rocket Project Management. How to add a matter type. How to create/modify workflow statuses. How to assign a matter type and status to a matter template using Rocket Project Management. How to define Workflow Transitions. How to apply a Workflow Status to an existing matter. How to apply a Workflow Status to new matter. How do I change the matter workflow status. How do I undo a matter workflow status change. Is there a report to see all matters that have a workflow status attached? Is there a report to see a high level view of my matters and their statuses? How to update my password. How to update a users password. How to add a new user. How to update my payment information for my Rocket Matter account. How to view your Rocket Matter Payment History. How to deactivate a user. How to delete a user. How do I activate Two-Factor Authentication? How do I set user permissions? How do I apply "Of Counsel" access to a User account? What is a task used for? How to modify a task. How to contact Tell Tali. Can I talk to Tali on the go with my phone or mobile device? What data does the Amazon Alexa record and store? How do I export all my activities in Tell Tali? When I record an activity with Tali, Alexa says "There was a problem with the requested skill's response." How to edit time entries added by Tell Tali. How to view the trust ledger for a client. How to run an invoice for one matter and apply trust funds. Portal Procedure from invitation to setup.